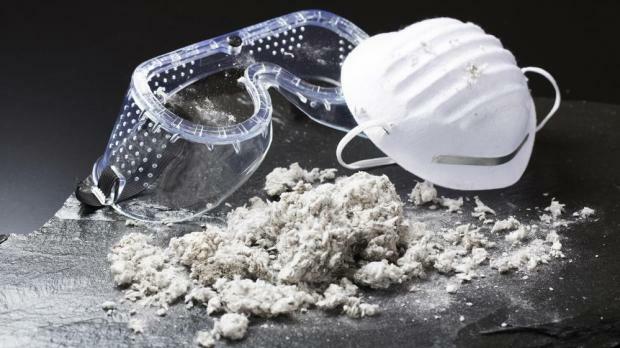 The heirs of three workers who died after contracting an asbestos-induced illness have been awarded €45,000 in three separate lawsuits wherein the court declared that their right to life had been breached. Surviving relatives of the three men, two former Dockyard workers and a welder deployed by his private employer to carry out works at St Luke’s Hospital in Guardamangia, instituted proceedings against the Chief Government Medical Officer and the Attorney General. One of the men had taken up a job at the Drydocks in his youth and had worked there until his retirement in 1998. However, some 17 years later, he developed a persistent cough and a shortness of breath which doctors certified as symptoms of asbestosis and mesothelioma. He was placed under palliative care until his death in May 2016. The second worker had served as a shipwright at the Drydocks and had likewise developed symptoms of malignant mesothelioma some 20 years after retirement, succumbing to his illness at the age of 76. The scenario surrounding the third victim was somewhat different. The man had been a welder working in a private company when he was deployed for a long number of years to the former St Luke’s Hospital where he assisted in the dismantling of asbestos pipes. Since the early 1980s, the worker spent days on end working in the basement of the hospital, removing the old pipes which placed him in close contact with asbestos fragments and dust. Eventually, he developed similar symptoms, passing away two years later aged 67. The cause of his death was put down as “malignant mesothelioma with brain and lung metastasis”. Upon the evidence put forward, the First Hall, Civil Court, in its constitutional jurisdiction, concluded that the medical file of each patient had left no doubt as to the fact that their illness had been a consequence of such contact with asbestos. In spite of the harmful effects caused through exposure to asbestos, which effects had long been known in the scientific and medical fields, the authorities had dragged their feet in taking “effective precautionary measures” as well as implementing laws to safeguard workers, the court observed. Moreover, in view of the argument raised by the respondents that the State was not to be held responsible for the work conditions of Dockyard employees, the court deemed this “somewhat ironical”, given that “for several years, the dockyard fell under state or parastatal responsibility”, the court continued. In the light of all evidence, the court, presided over by Mr Justice Joseph R. Micallef, declared that the right of the applicants to the protection of life had been breached since they had suffered in more ways than one on account of the illness which afflicted their loved ones. In such cases, monetary compensation was “more adequate” than a mere declaration of such breach of rights, the court said, awarding the three families €10,000, €15,000 and €20,000 respectively. Lawyer Juliette Galea assisted the families.